Deepanjan Nag's Magnum Opus: Our free wine glass finally arrives! 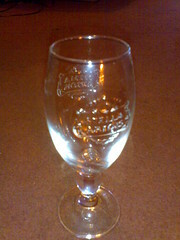 Our first free wine glass finally arrived yesterday. The wait was so long, I had actually given up hope. We'll probably use it for aromatic candles.